The latest outrage du jour from the left are the draconian food stamp cuts that hit individuals and families on November 1, 2013. The media and talking heads have pointed to the Supplementary Nutritional Assistance Program (SNAP) cuts, which range from $11 a month to $36 a month depending on the size of the family receiving the assistance. At the outset, let me preface this post by saying that there is no doubt people are struggling to make ends meet in Obama’s economy. However, at the same time, there are some serious myths being pushed with respect to SNAP that need to be addressed in order for folks on both sides to be capable of having educated discussions regarding the program. Below are some truths regarding SNAP which few folks point to, acknowledge, or (perhaps) are even aware of. 1. The food stamp “cut” that took place on November 1, 2013 was put in place by Democrats and President Obama. Yes, this is true. 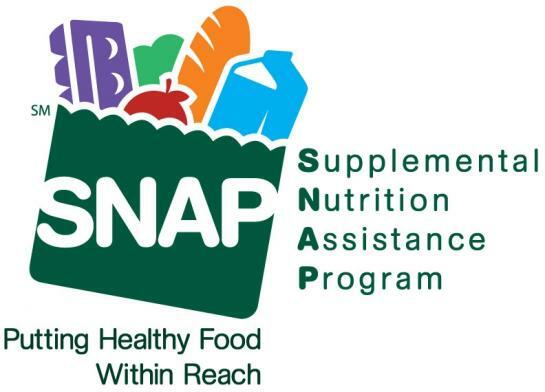 The increased funding to SNAP was part of the American Recovery and Reinvestment Act, also known as “The Stimulus.” This part of the bill had a sunset provision that the increased funding ended on October 31, 2013. As a reminder, the stimulus was passed by the Democrat-controlled House of Representatives in 2009 (without a single Republican vote) and was passed by the Senate (with two GOP votes, both Senators from Maine, Olympia Snowe and Susan Collins). Though the bill would have passed the Senate without Snowe and Collins, since the GOP did not have the forty votes needed to block cloture. President Obama knowingly and willingly signed the Stimulus Bill into law, which was his crowning achievement until Obamacare. So, it is entirely fair to say that — like the “Payroll Tax Cut” — the Democrats drafted the bill with a sunset provision when they did not need to and, therefore, are totally responsible for this Food Stamp cut. 2. Food stamps are meant to be supplemental, not the primary source of nourishment for needy individuals and families. The first word in the SNAP acronym is “supplemental.” Many on the left tend to forget this when describing SNAP. That is, the program is designed to supplement the food budgets of needy families. In an attempt to gain media attention, many on the left joined the contrived “SNAP Challenge” to try and live on a SNAP budget for a week. The point of the “SNAP Challenge” was to show how the amount of money provided by food stamps is paltry and how the GOP was simply evil for not immediately tripling the food stamp budget… or something. Because food stamps are supposed to supplement existing food budgets, the “SNAP Challenge” was complete and utter nonsense. It ignored the fact that individuals are supposed to be committing their own money to their food budgets in addition to SNAP benefits. Whether their own money comes from public assistance, a part-time job, or whatever other source, it should be considered in order to get a full picture of how an individual or family on SNAP should be spending his, her, or their money. However, even with this in mind, it should be noted that many on the right slayed the “SNAP Challenge” dragon with some smart and savvy shopping. Isn’t coupon clipping, comparison & bulk shopping, and deal-hunting something people should be doing anyway? 3. Government makes food stamp dollars less valuable. Inflation hurts. While overall inflation has remained “tame” according to the CPI, this measurement excludes food and fuel, which have grown in price over the years. This has been particularly true since 2009. Increases in the food CPI-U rose to a seasonally adjusted annualized rate of 2.6 percent during the fourth quarter of 2012, after increasing at a seasonally adjusted annualized rate of 1.5 percent for the first 9 months of 2012. From December 2011 to December 2012, the index increased 1.8 percent. The 5-year annualized change in the food index from December 2007 to December 2012 was 2.6 percent. The food at home component jumped in the fourth quarter to a seasonally adjusted annualized rate of 3.5 percent, after slight increases of 0.5 percent, 0.8 percent, and 0.2 percent in the first three quarters respectively. All six of the major item categories within the food at home index increased, led by a 7.9 percent increase in the index for dairy and related products, and a 5.6 percent increase in the index for fruits and vegetables. The indexes for cereal and bakery products and meats, poultry, fish, and eggs increased at more moderate paces of 3.6 percent and 3.0 percent, while the indexes for nonalcoholic beverages and beverage materials and other food at home increased at near equal rates of 1.8 percent and 1.7 percent. Prices were up across the board within cereal and bakery products, led by a 9.8 percent increase in the index for white bread, with only a decrease of 1.8 percent in the price of cookies. The increase in prices for meats, poultry, fish, and eggs was led by an increase of 10.2 percent in the index for poultry, including an increase of 12.0 percent in the index for chicken. Within the dairy and related products index, the milk index jumped to 15.9 percent during the fourth quarter after a 2.2 percent increase in the third quarter and decreases in each of the first two quarters. The increase in the index for fruits and vegetables was led by a 52.8 percent increase in tomato prices and a 43.3 percent increase in the price of oranges. By admission, the Federal Reserve is attempting to stimulate the economy by “mildly” stoking inflation. Though what this does is drive up the prices of things that lower- and middle-class folks depend on most: food, fuel, education, and health care. In essence, when the Federal Reserve increases the money supply through QE and causes price inflation, the lower- and middle-class hurt the most. Those on SNAP get less bang for their buck, so to speak. Scott Lincicome over at The Federalist wrote an excellent post on rising beef costs which are due to Uncle Sam. I encourage you to read it. 4. Food stamp rolls have increased to 47 million since the recession ended. Late Friday, some of us had a bit of a one-sided discussion with other folks in the media about these horrible SNAP “cuts.” The point that was missed by these journalists is the fact that we are supposedly in an economic recovery, yet food stamp enrollment continues to grow. The Great Recession officially ended in June 2009. But look at the above chart showing food stamp enrollment over the years. The worst part? Hitting the “break even” point only brings us to where we were in 2007 in terms of population. Since the economy needs around 125,000 jobs to keep up with population growth (depending on who you ask and other factors), we’re not even close to a real recovery. Don’t count on the media asking about the jobless recovery and why SNAP enrollment has grown so much since the Great Recession ended. Much hullabaloo on the left and the media is directed at the near $5 billion SNAP “cut” which began on Friday. What you will not hear about are SNAP’s administration costs. The program — which shifted from the old paper tickets to a new electronic system – costed over $3.8 billion to administer in Fiscal Year 2012. Administrative costs are almost 80% of the SNAP “cut.” This $3.8 billion is simply the federal costs to administer SNAP. The state cost to administer SNAP is another $3 billion. It boggles the mind that nearly $7 billion was spent to simply administer a program that gives money for food to needy individuals and families — which roughly equates to a 9.5% administrative cost when compared to the benefits. Food banks don’t have administrative budgets anywhere near that. For example, the Regional Food Bank states that their administrative costs are less than 4%, meaning $0.96 of every $1.00 donated goes to feeding families. Once again, the private sector is more efficient than the public sector. Who knew? Bottom line — if you really want to feed needy families, donate food locally. There really is no substitute. Lest I be accused of having no empathy for folks in need, as a former Boy Scout, we used to have canned food drives several times a year and I still make an effort to help private organizations engaged in the noble cause of feeding those in need. While it’s not glamorous, an actual non-perishable food collection is probably the most cost-efficient way to get food to folks who really need the help.